In this groundbreaking book, award-winning journalist Tom Koppel details these provocative discoveries as he accompanies the archaeologists, geologists, biologists, and paleontologists on their intensive search. 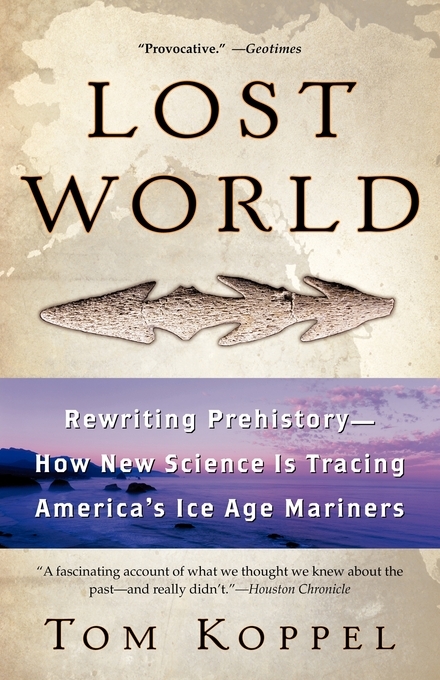 Lost World takes readers under the sea, into caves, and out to the remote offshore islands of Alaska, British Columbia, and California to present detailed and growing evidence for ancient coastal migration. By accompanying the key scientists on their intensive investigations, Koppel brings to life the quest for that Holy Grail of New World prehistory: the first peopling of the Americas. 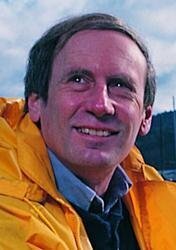 Tom Koppel has earned awards from the Canadian Archeological Association and the Canadian Science Writers' Association for his investigative research. A journalist for more than twenty years, he lives with his wife on Salt Spring Island, British Columbia. "A fascinating account of what we thought we knew about the past -- and really didn't." "Lost World interweaves the latest scientific findings with exciting new theories...captivating." "[A] spirited narrative that captures the adventure of doing research in...remote and exotic lands."